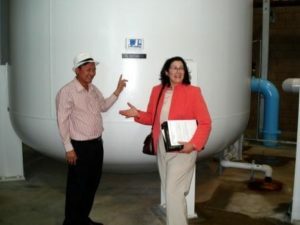 ME&A facilitated a Reverse Trade Mission (RTM) for the United States Trade and Development Agency on Vietnam Non-Revenue Water Reduction and Wastewater Treatment. ME&A organized the 10 day RTM, which was attended by 18 delegates from the Vietnamese water and wastewater industry. 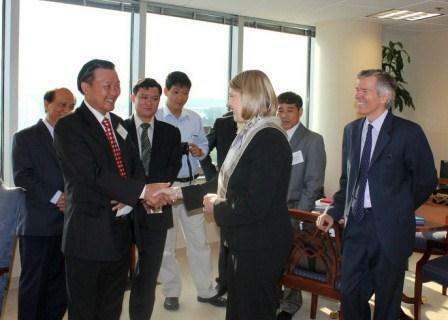 These officials representing Vietnamese water companies and municipalities met with the EPA, ADB, OPIC, US Export-Import Bank as well as other notable international institutions, U.S. agencies and U.S.-based companies. The group attended the Water Environment Federation Technical Exhibition and Conference (WEFTEC) in New Orleans, LA and also visited Washington, DC and Los Angeles, CA for additional tours and meetings. 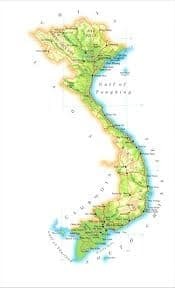 Vietnam is experiencing substantial economic growth, but access to clean water continues to present a serious challenge for over 40% of the population. As industries flourish, one impact is an increase in water pollution and contamination of aquatic ecosystems, which serve as a source of livelihood for many Vietnamese families. Thus, water and wastewater management solutions are essential for the sustainable development of Vietnam. 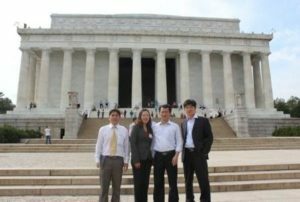 With its history of successful water management projects, ME&A worked closely with USTDA to ensure a successful RTM.